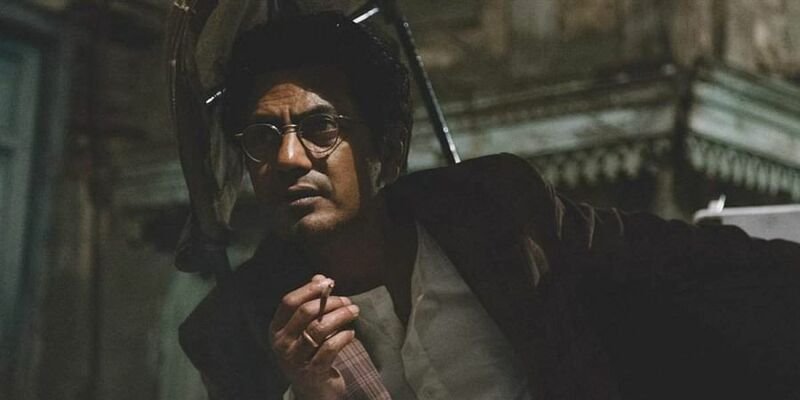 Nawazuddin is efficient as Manto - dressed in spotless whites, he vents the mental quandaries of his character through visible twitches on his forehead. Saadat Hasan Manto had feminine feet. The observation is made by his friend and contemporary Ismat Chughtai at a Bombay shoe shop — and Manto, who wrote fearlessly about women and their bodies, turns pink at the mention. “But aren’t you a fan of feminine features?” Chughtai probes, sensing his embarrassment. “Yes I am. That doesn’t mean I acquire them too,” Manto replies. Scenes of the above ilk propel Nandita Das’ film on the Urdu provocateur. Manto, the film, is a mischievously inward take on a writer and his inadequacies. The narrative is steeped in fascinating detail — Manto, we learn, admired the British for teaching us to number our graves — but the film steers clear of vain adulation. What is offered instead is a dizzying, morally tense portrait, as liquid in tone and form as the stories of its protagonist. We meet Manto (Nawazuddin Siddiqui) as a respected screenwriter in ‘40s Bombay. He lashes out at a portly producer (a gleefully piggish Rishi Kapoor) for altering his film script, but calms down at the prospect of an early payment. At home, Manto’s wife Safia (Rasika Dugal) is both supportive and critical of her wayward husband — the death of their firstborn child, Arif, looms over their marriage, assuaged in part by the arrival of their daughters. 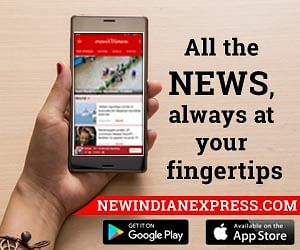 We are also acquainted with Manto’s social circle: the tea-house bastions of the Progressive Writer’s Movement; and his friends in the film industry—Ashok Kumar, Himanshu Rai, K. Asif, Naushad, the singer Jaddanbai and her daughter Nargis. Manto is particularly fond of fledgling actor Shyam Chadda (portrayed by Tahir Raj Bhasin), and their friendship anchors much of his turbulence (the writer’s decision to move from Mumbai to Lahore after the partition is located, rather unfairly, to a passing remark about Muslims by Chadda). The Pakistan portions of the film unfurl at a sombre pace. Manto’s growing bitterness is likened to the decadence of his divided land — “I am a bird from a torn state. My wings are naturally clipped,” he rues through obscenity trials while struggling to provide for his family, swigging instead on cheap liquor and puffing on tarry cigarettes. Then there are his stories. Nandita Das is an incisive filmmaker, and she makes clever use of the medium to blur fact and fiction. Five of Manto’s iconic afsanas — Dus Rupay, Sau Watt Ka Bulb, Khol Do, Thanda Gosht and Toba Tek Singh — appear in the film as clever interludes, lining up neatly with the main narrative. Most of these episodes present the author as a bystander to his own stories, the camera mimicking his omniscient gaze, as everyday horrors take literary shape in his soft, regarding eyes. Nawazuddin is efficient as Manto. Dressed in spotless whites, he vents the mental quandaries of his character through visible twitches on his forehead. His gait is author-ly and his movements measure, but it is the actor’s voice — at once familiar and distant — that sears through the musty courtrooms of post-Independence Pakistan and resounds eerily in today’s India. When he brings up artistic censorship, or ponders poetically on communal violence (“I shall keep two caps, one Hindu one Muslim”), you know which way his words are ringing. Rasika Dugal is fetching as Safia Manto, full of warmth and watchfulness, and Rajshri Deshpande, the starlet from S Durga and Sacred Games, is a wrecking delight as Ismat Chughtai. A special nod goes out to Shashank Arora, who appears in the second half as Manto’s drinking buddy, and another to Javed Akhtar, who debuts sheepishly as the poet Abid Ali Abid. Manto is a studiously crafted film. It makes brave pronouncements on artistic freedom, religious violence and abject nationalism without losing sight of its investigative rigour— the film illustrates; it does not preach. Such mindfulness is often absent in our cinema, a medium so susceptible to rage, but Manto stands apart as a poignant exception. It simmers its anger on a slow steam, and in doing so, serves it right. Manto was a man of subtext. He was, also, a man of prose.